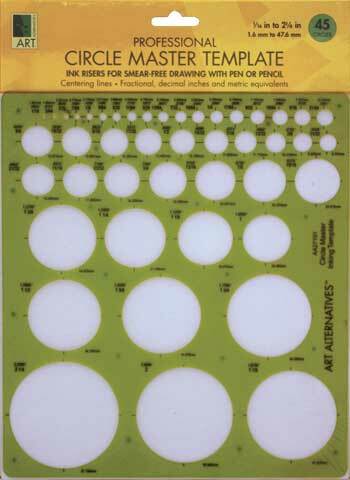 These templates feature circles with fractional and decimal inch markings plus metric equivalents and centering lines for precision placement. Template #1 includes 45 circles ranging from 1/16" to 2-1/4" in diameter. Template #2 includes 44 circles ranging from 1/16" to 3" in diameter.